Written by nativeaccess on November 2, 2017 . Posted in Uncategorized. 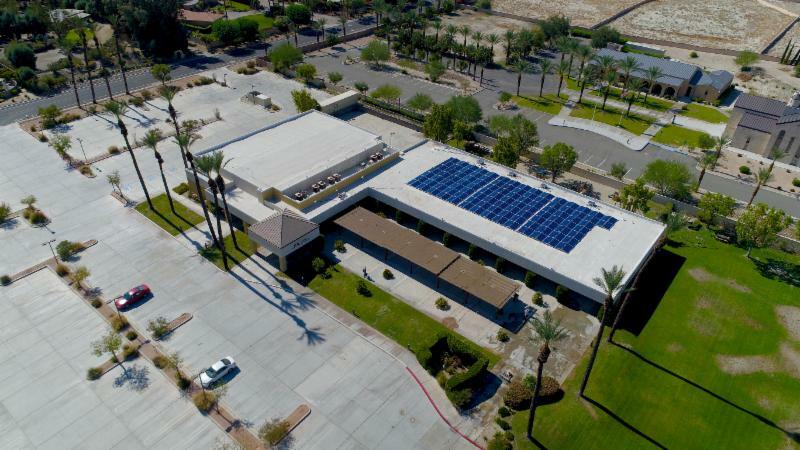 A 61 kW solar system was completed on October 6th and will produce approximately 88,450 kWh of energy annually for JPL Bible Church. The system is comprised of a ballast mount roof top racking system by Everest Racking, Fronius Symo 12.0 inverters and Talesun 305W modules. The EPC contractor for the system was Solar Gain West, LLC who also will be performing the system maintenance services. Property Assessed Clean Energy (PACE) financing was used to place a Deposit on the Power Purchase Agreement (PPA) which provides for up to 25% reduction in the cost of the solar system. This unique financing resulted in additional energy cost savings for JPL. The PACE financing was provided by Ygrene Energy Fund. Founded in 2012, BriteStreet is a Denver-based Best-in-Class owner, developer, operator, and financier of distributed solar and commercial LED assets. We offer a turn key finance and installation solution for commercial properties that are interested in lowering their energy costs, improve their buildings appearance, and increase their environmental stewardship. Our clients include hospitals, schools, commercial properties, convention centers and arenas, religious centers, municipalities, and finally, homeowners with our residential solar program. Our unique partnerships enable us to leverage our financial creativity to get your job funded, developed, and operational when others cannot. Rigorously certified by NABCEP, BriteStreet is committed to always ensuring we have the industry leading products, an attentive and knowledgeable staff, an industry-leading warranty, and a dedication to the environment…all in an effort to give our customers piece of mind. For More Information Contact BriteStreet Today!